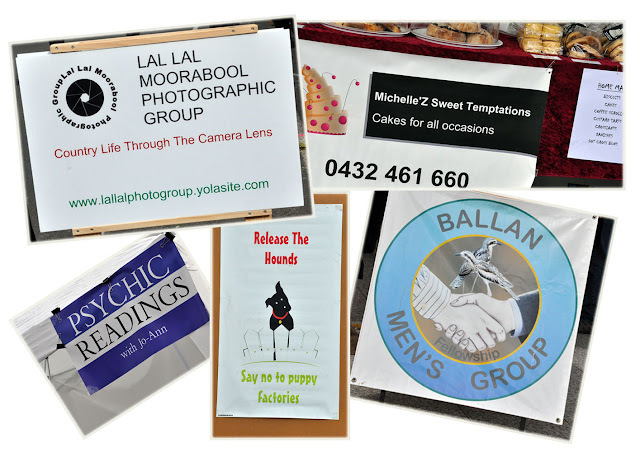 Last weekend - March 25 - was the Ballan Autumn Festival ….. it is held each year, but this was the first time we had attended the event. 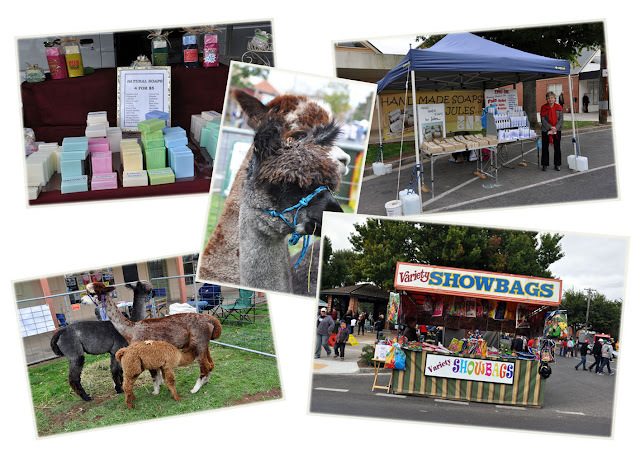 According to the website there was much on offer, the Quilt Show, a book bazaar, an Art Show, a pet parade, a photo exhibition, a talent quest, wood chopping and of course the main event was the Street Parade. As a community, Ballan is proud to showcase our town one hour west of Melbourne, off the Western Freeway, between Bacchus Marsh and Ballarat. The Ballan Autumn festival has been held annually for over 30 years and this year will be held in the main street of Ballan. 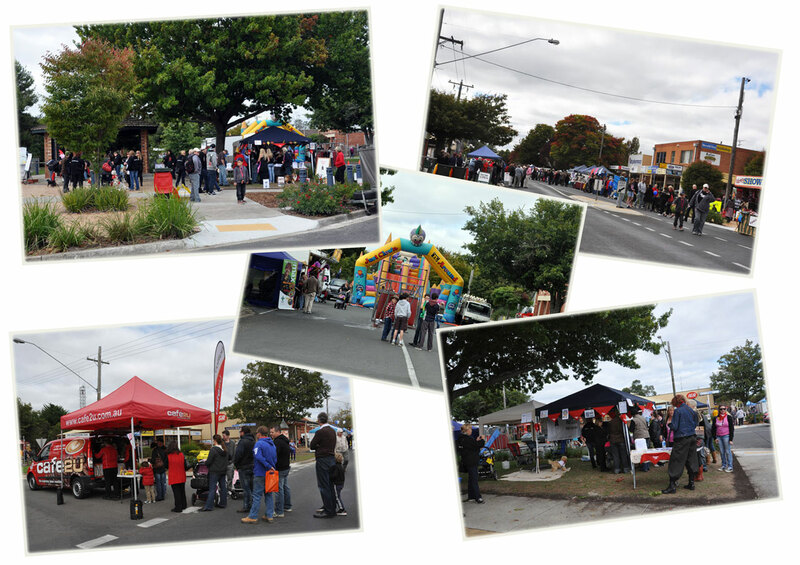 It is a fun day for all the family where Ballan comes alive. There will be bands performing on the main stage; a parade of community groups and floats; vintage cars and motor cycle riders; the local pet owners will proudly parade their animals around the ring for judging in the pet show. 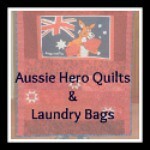 Ballan Art and Craft Society and Ballan Quilt and Craft both put on hugely popular exhibitions. 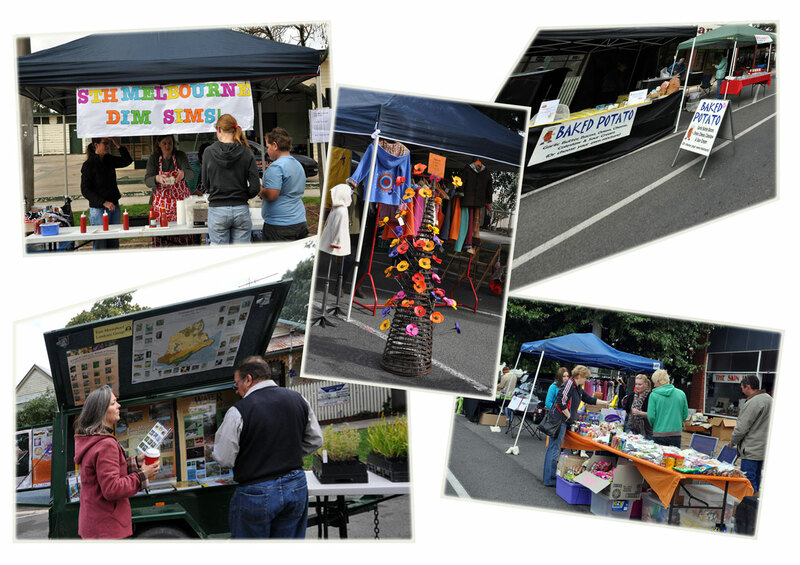 Photography Competition encourages anyone with a camera to illustrate the Festival theme. 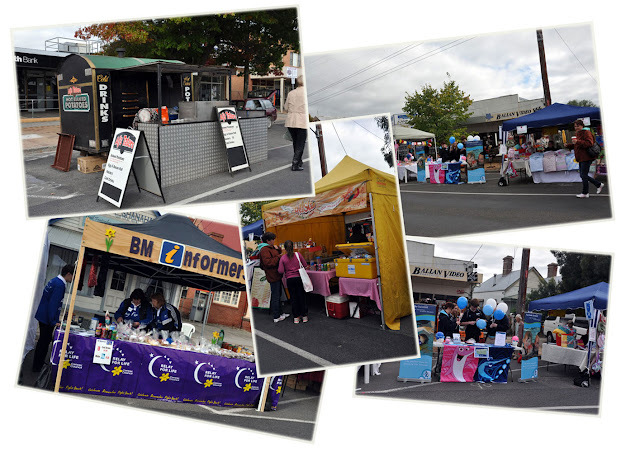 Many stalls of all varieties including food. Visit Ballan and join in the fun. 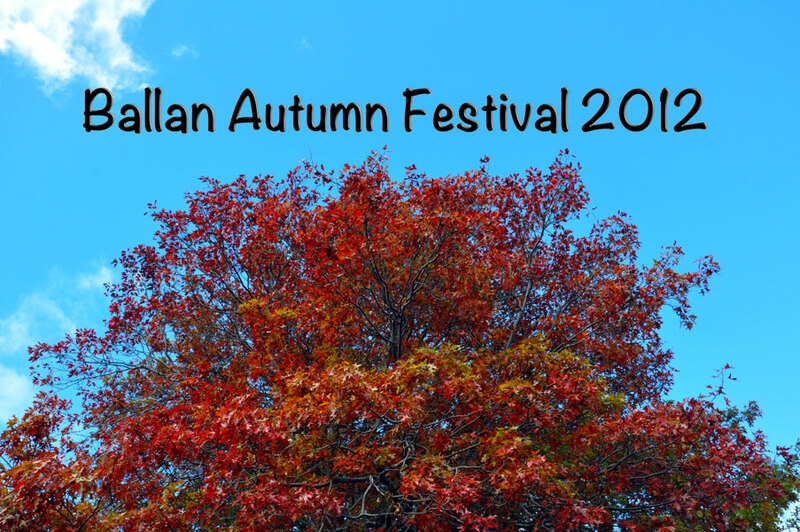 Take a walk around the town and enjoy the beautiful autumn weather; stop in at the many events held during the festival. By 9.30am all the street holders had set up their stalls along the main street (Inglis St) selling their wares. Which was anything from Baked Potatoes to Jewelry, from knitted caps to scented soaps ….. it was there ready for you to purchase. We went down fairly early hoping to avoid any possible crowds. We arrived just after 10.00am and many people starting to arrive already. Check back in a few days for further blog posts on the Street Parade, The Vintage Vehicles and of course the Wood Chopping! please note we are available for any Social Media work. Be it Galleries, bakeries, restaurants, wineries, Festivals, cafes, coffee shops, or anything that needs to have some focus and would be of interest to others! !